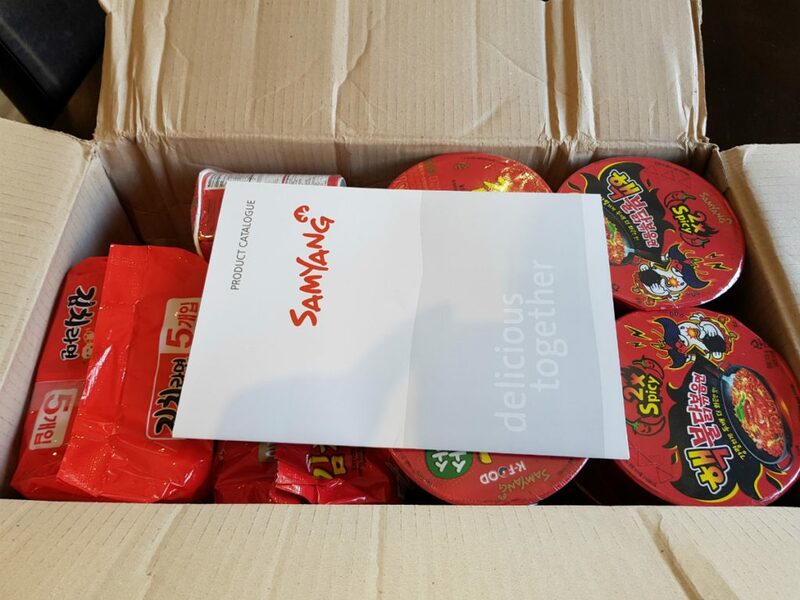 So I reached out to Samyang a few weeks ago to introduce myself and this site; they got back to me pretty quickly (champions they are!) 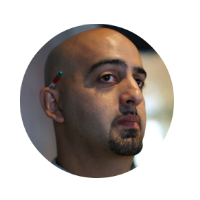 saying they liked the site and what we were doing. 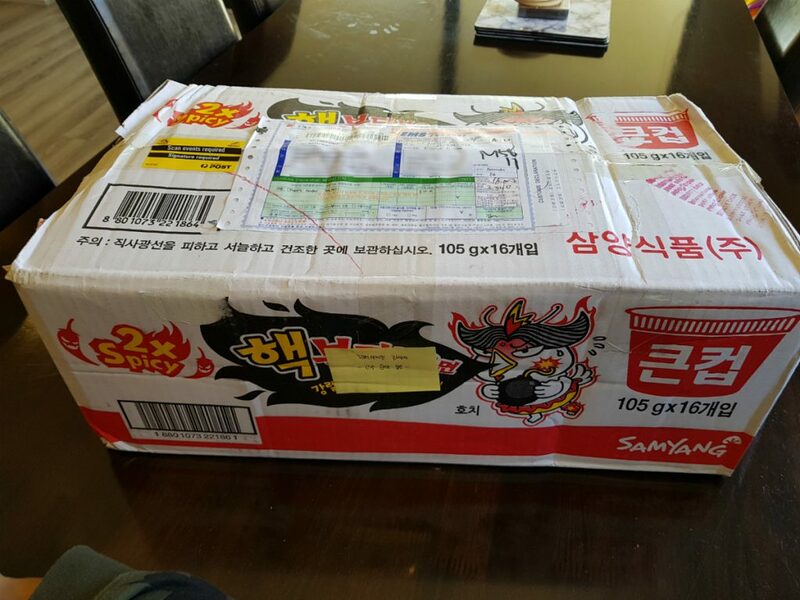 They even offered to send some of their new ramen as a gift! What top blokes. So here is what arrived last week. A lovely box with our good friend Hochi! 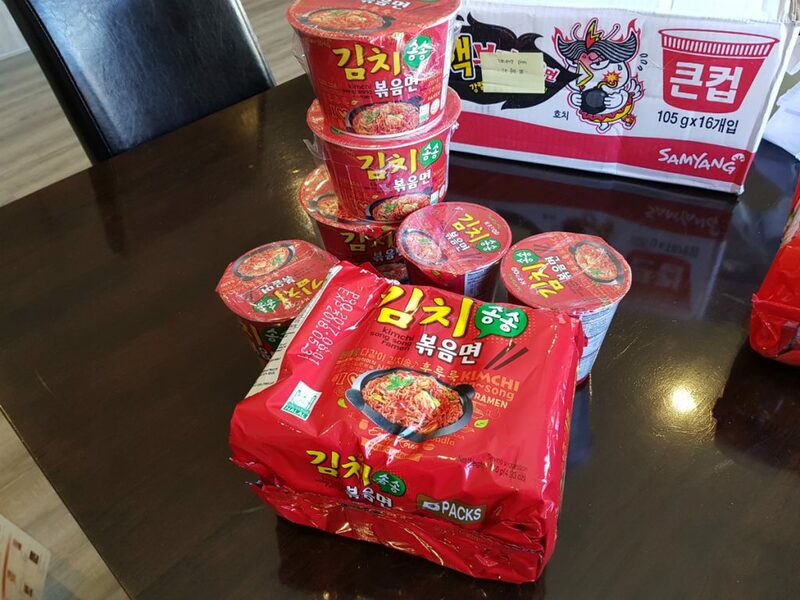 All three varients of their new “Kimchi Song Song” Ramen; packet, bowls and cups! 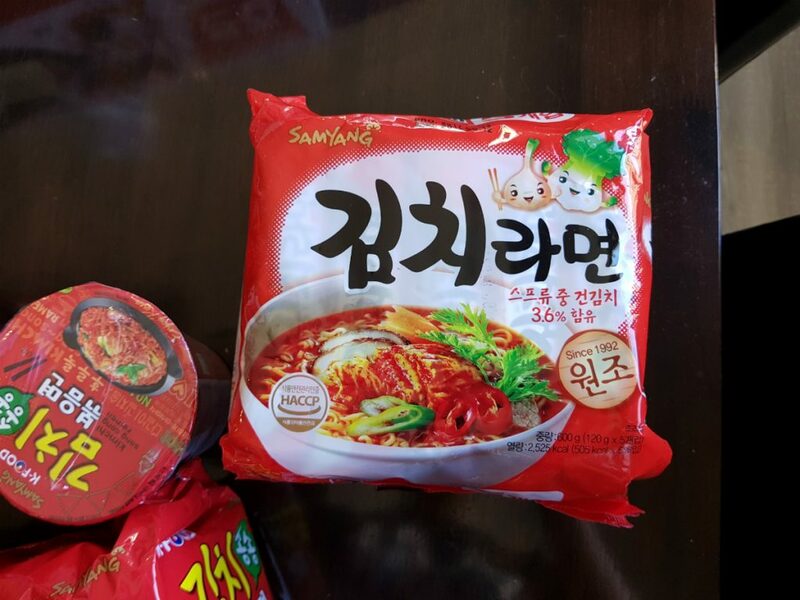 Some Kimchi ramen that we haven’t actually had a chance to review yet. 5 bowls of Haek Buldak! (I actually asked for these when they asked if there was anything I would like because they are so hard to find here). Rest assured we will be reviewing all of these products in the coming weeks; we are all super excited to let you know how these all rate! So far Samyang have had a stellar track record when it comes to both flavour, and regret, so I am expecting nothing less than the best from them. Time will tell! 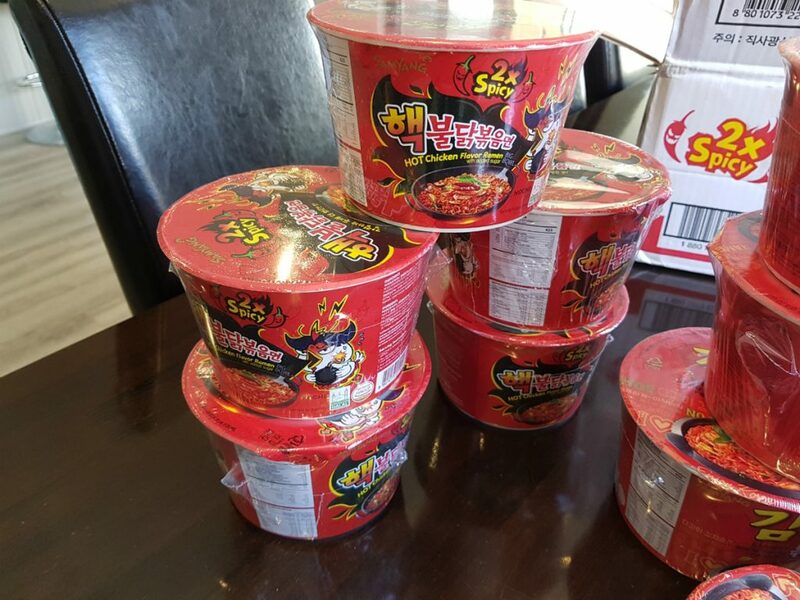 Thanks again Samyang!